The amazingly lifelike look of many soft plastics can be easily explained: they are made from molds of the real thing. Live-bait fishermen would argue that even the best imitation can never be as effective as the genuine food item. But most would agree that soft plastics offer some advantages over live bait. The major advantage is durability. Live bait often tears away from the hook when you cast, and a short-striking fish can easily steal your bait. lmitations stay on the hook much better, although toothy fish may occasionally nip off the tail. Many of the best live baits are not available at bait shops. Rather than collecting their own bait and making provisions to keep it alive, many fishermen opt for soft plastics. 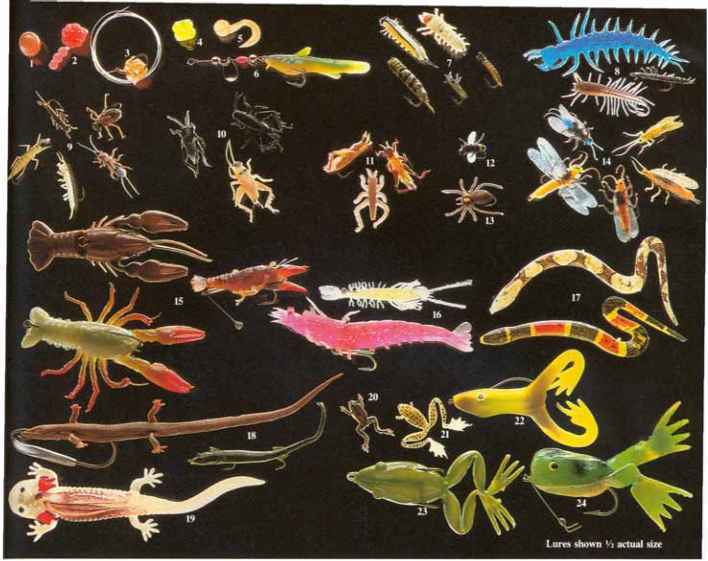 Soft plastic insect imitations work best for panfish and trout; plastic eggs for salmon and steelhead; crayfish for bass and trout; and frogs and waterdogs for bass, northern pike and walleyes. Baitfish imitations catch most types of freshwater gamefish. Many lifelike soft plastics come unrigged. 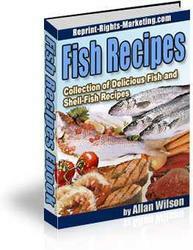 Fishermen thread them on hooks or fish them on lead jig heads (page 98). 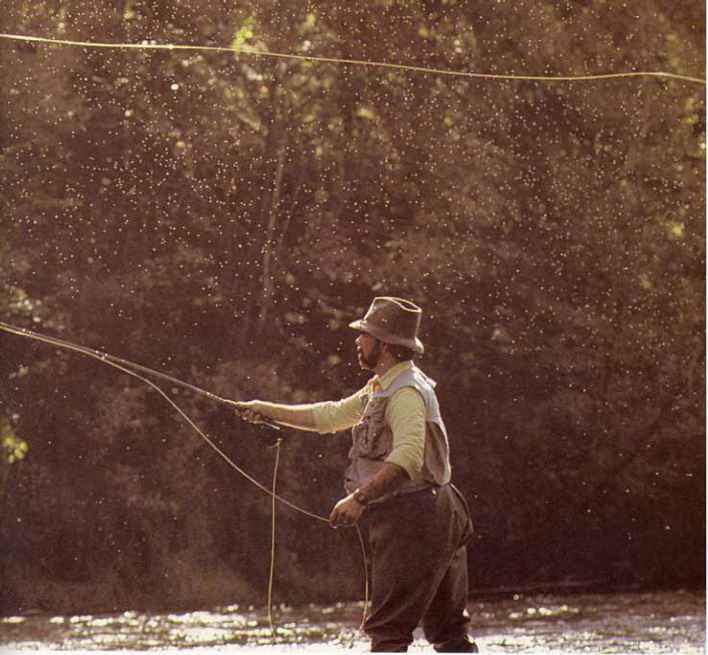 Some, including almost all insect imitations, come with a hook molded into the plastic or rigged with a hook hamess. RIG a plastic egg by (l). pushing it onto the point of an egg "hook; or (2) onto the hook of a yarn fly, over the fly, then onto the line. Rig an egg cluster onna (3) sliced-shank hook or (4) treble hook with one point exposed. 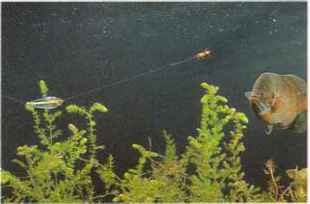 Rig a plastic frog or waterdog by (5) pushing the point of a worm hook into the nose, out one-half inch behind the nose, then through the back; or (6) threading it onto a hook with a light-wire weedguard. Creme Frog, (21) Ts Ribbet, (22) Hawg Frawg, (23) Snagproof Frog, (24) Super Frog. SLOW-TROLL or drift with a lV:z- to 2-inch soft plastic crayfish on a slip-sinker rig for sma11mouth and spotted bass. 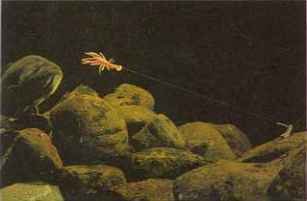 The buoyant crayfish will ride above bottom so the hook cannot snag in rocks or bottom debris. 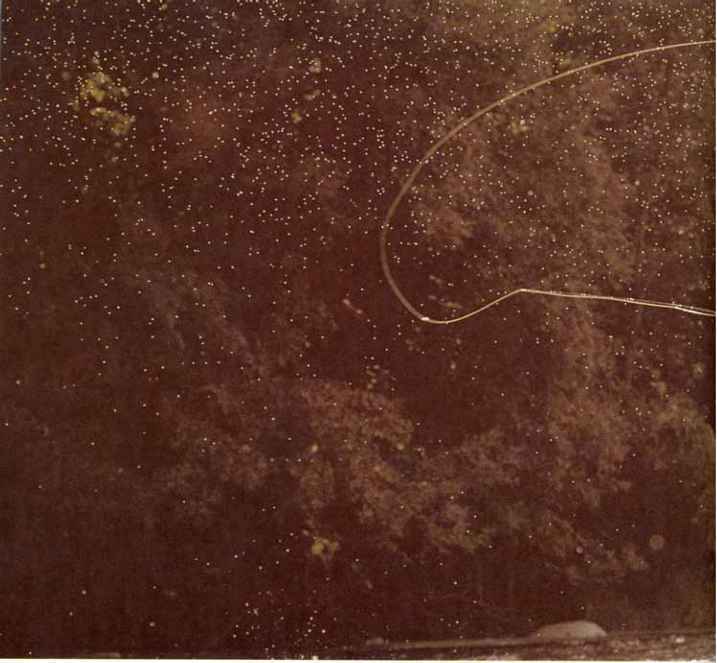 CAST a floating or sinking insect imitation on a plastic bubble rig to catch sunfish and other panfish. Twitch the bubble over the weedtops, pausing severa1 seconds between twitches. How to rig the plastic egg for steelhead fishing? Where can i find insect soft baits? How to rig a soft plastic crayfish? How to rig a waterdog? How to rig a plastic crawfish imitation? Which is better live bait or plastic? How to troll with slip sinkers? How to hook a crawfish? How to rig a creme frog? How to rig a creme small plastic frog? How to rig creme lure grasshopper bait? How to rig a soft baits frog? How to fish creme tru lures?